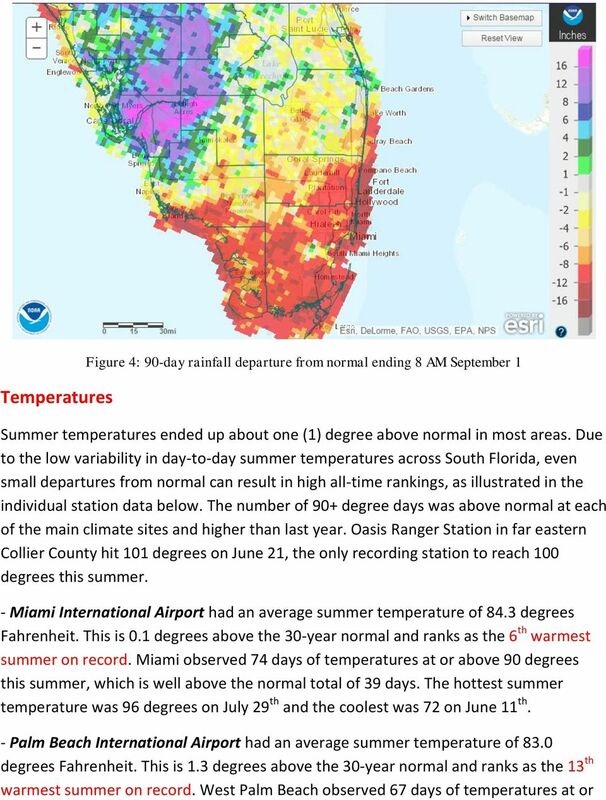 Download "MIAMI-SOUTH FLORIDA National Weather Service Forecast Office http://www.weather.gov/miami"
8 above 90 degrees, which is well above the normal total of 41 days. 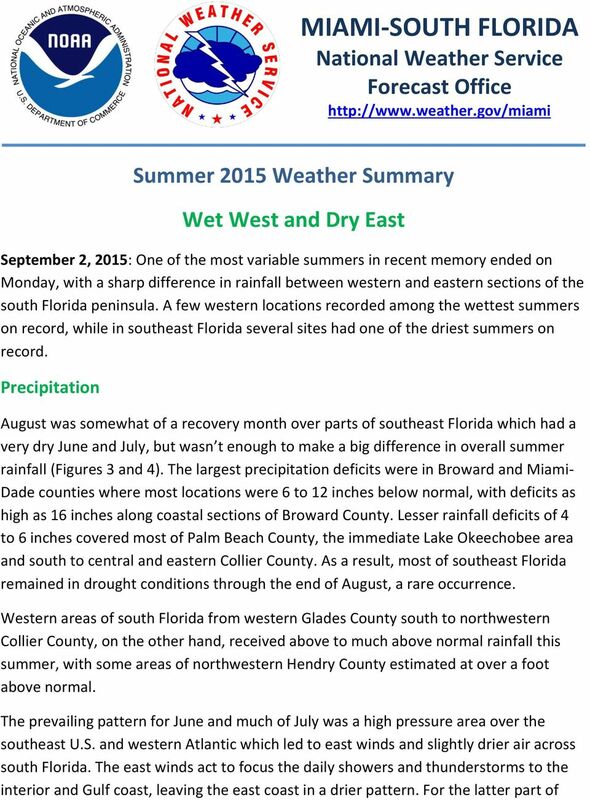 The hottest summer temperature was 96 degrees on July 14 th and the coolest was 70 on June 3 rd. 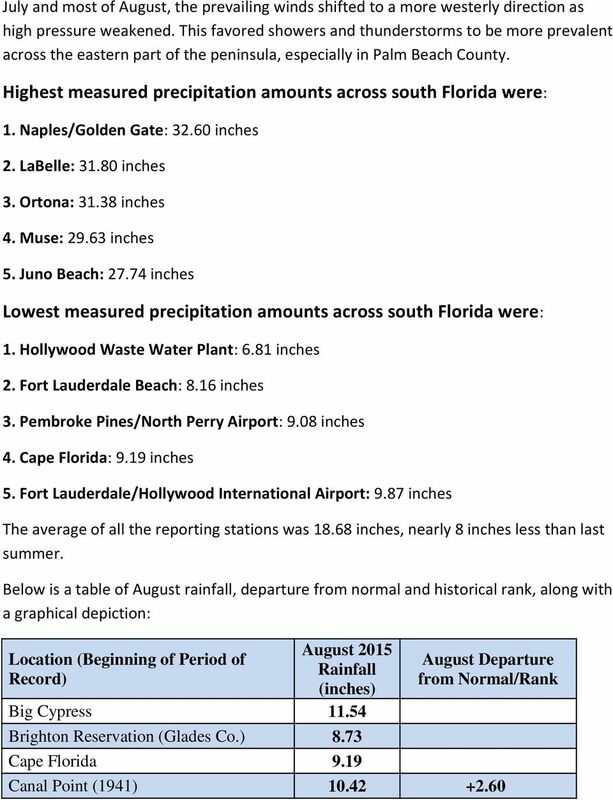 - Fort Lauderdale/Hollywood International Airport had an average summer temperature of 84.3 degrees Fahrenheit. This is 0.3 degrees above the 30-year normal, but ranks as the 3 rd warmest summer on record. 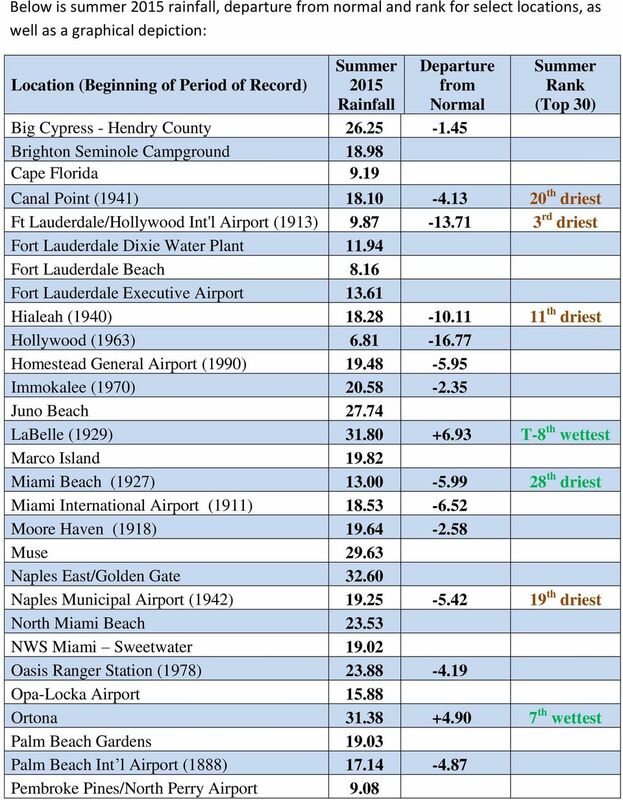 Fort Lauderdale observed 64 days of temperatures at or above 90 degrees, greater than the normal July total of 44 days. The hottest summer temperature was 96 degrees on July 24 th and the coolest was 71 on June 2 nd. 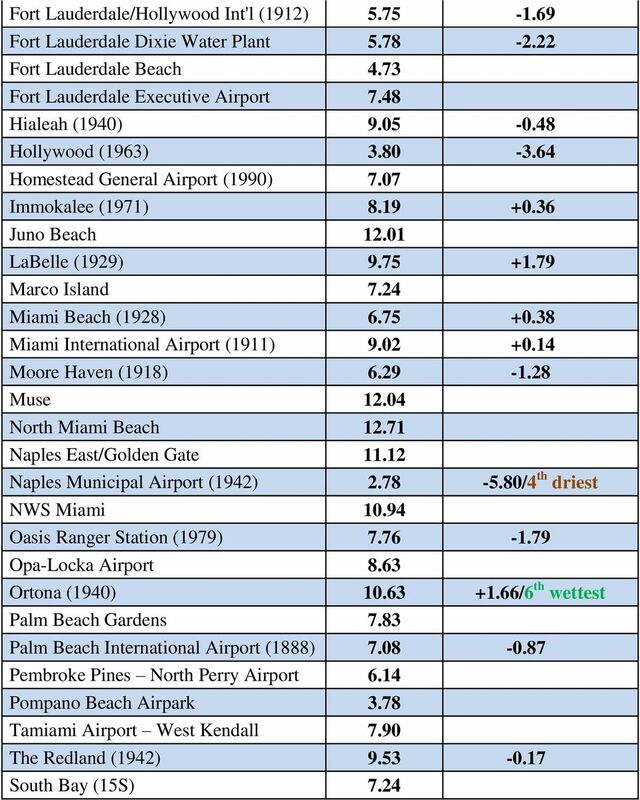 - Naples Municipal Airport had an average summer temperature of 83.2 degrees Fahrenheit. 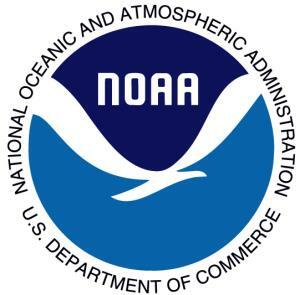 This is 0.9 degrees above the 30-year normal and ranks as the 10 th warmest summer on record. Naples observed 70 days of temperatures at or above 90 degrees, above the normal total of 61 days. The hottest summer temperature was 96 degrees on August 29 th and the coolest was 69 on June 3 rd. 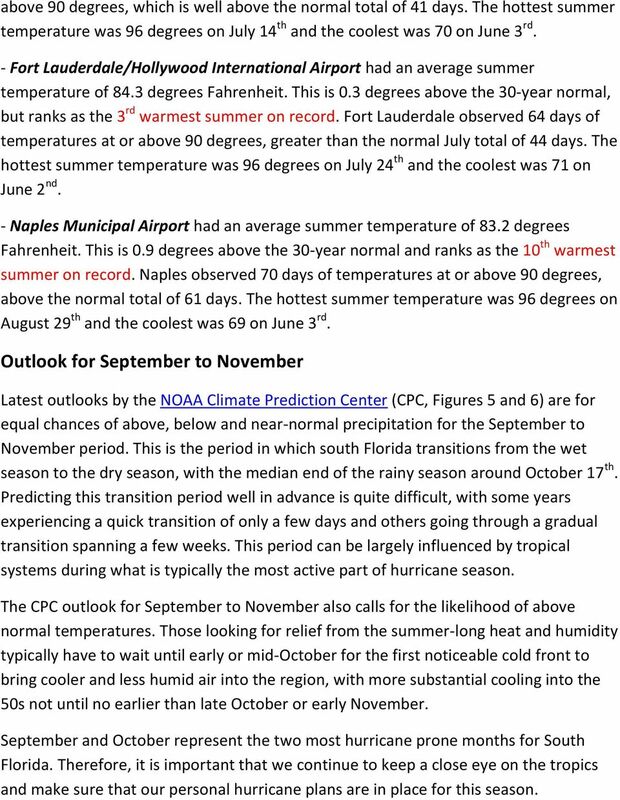 Outlook for September to November Latest outlooks by the NOAA Climate Prediction Center (CPC, Figures 5 and 6) are for equal chances of above, below and near-normal precipitation for the September to November period. 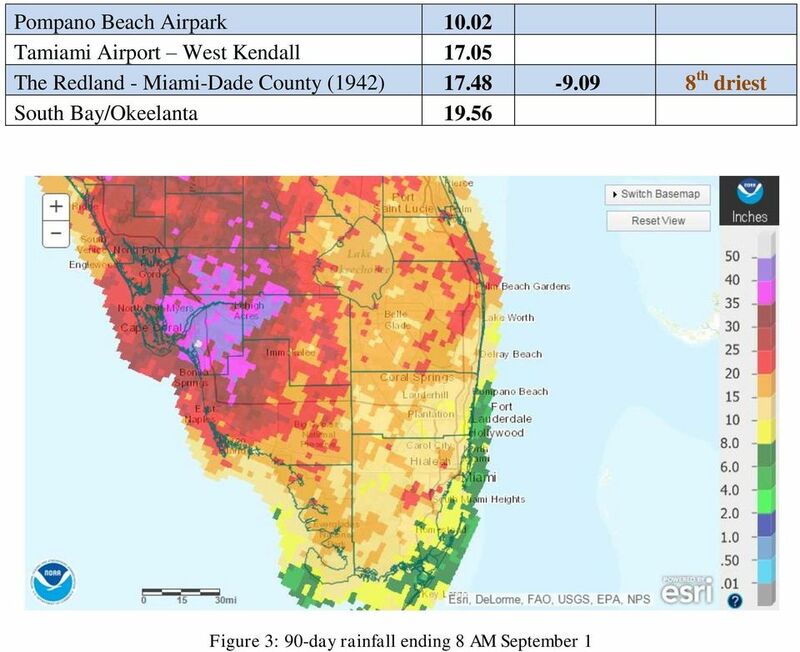 This is the period in which south Florida transitions from the wet season to the dry season, with the median end of the rainy season around October 17 th. Predicting this transition period well in advance is quite difficult, with some years experiencing a quick transition of only a few days and others going through a gradual transition spanning a few weeks. 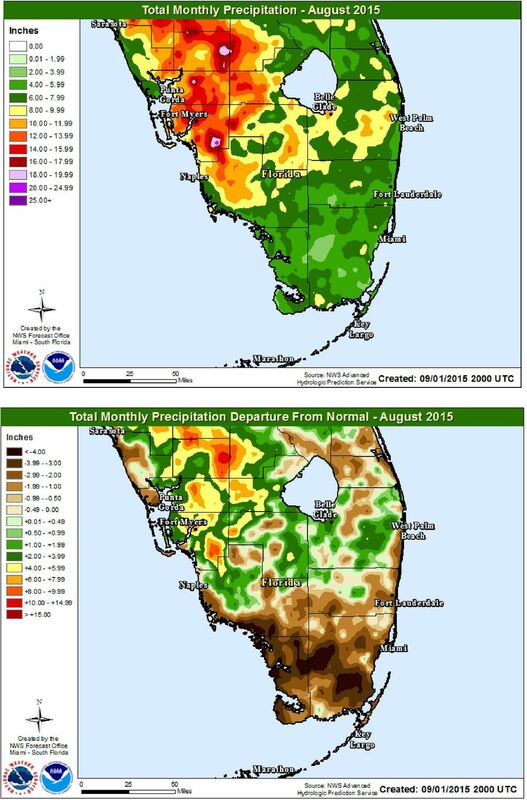 This period can be largely influenced by tropical systems during what is typically the most active part of hurricane season. The CPC outlook for September to November also calls for the likelihood of above normal temperatures. Those looking for relief from the summer-long heat and humidity typically have to wait until early or mid-october for the first noticeable cold front to bring cooler and less humid air into the region, with more substantial cooling into the 50s not until no earlier than late October or early November. 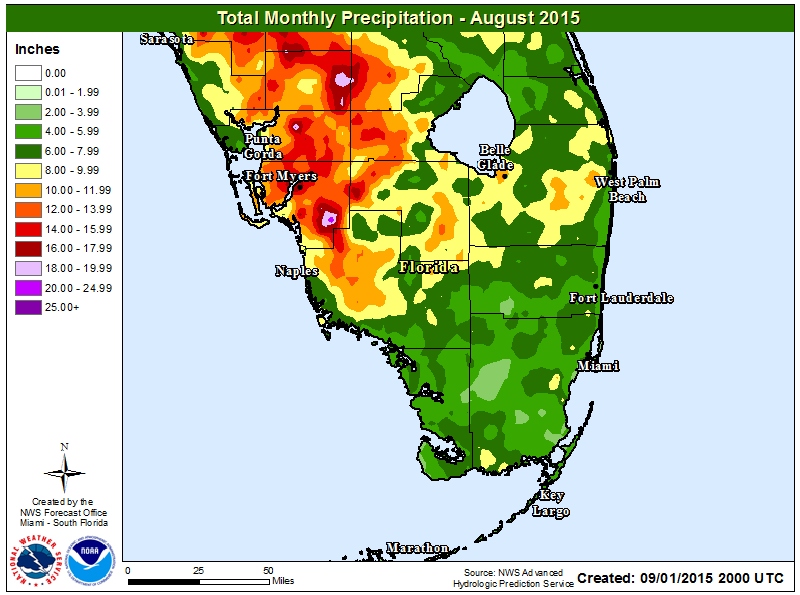 September and October represent the two most hurricane prone months for South Florida. Therefore, it is important that we continue to keep a close eye on the tropics and make sure that our personal hurricane plans are in place for this season. 9 For the latest south Florida weather information, including the latest watches, advisories and warnings, please visit the National Weather Service Miami Forecast Office s web site at weather.gov/southflorida. 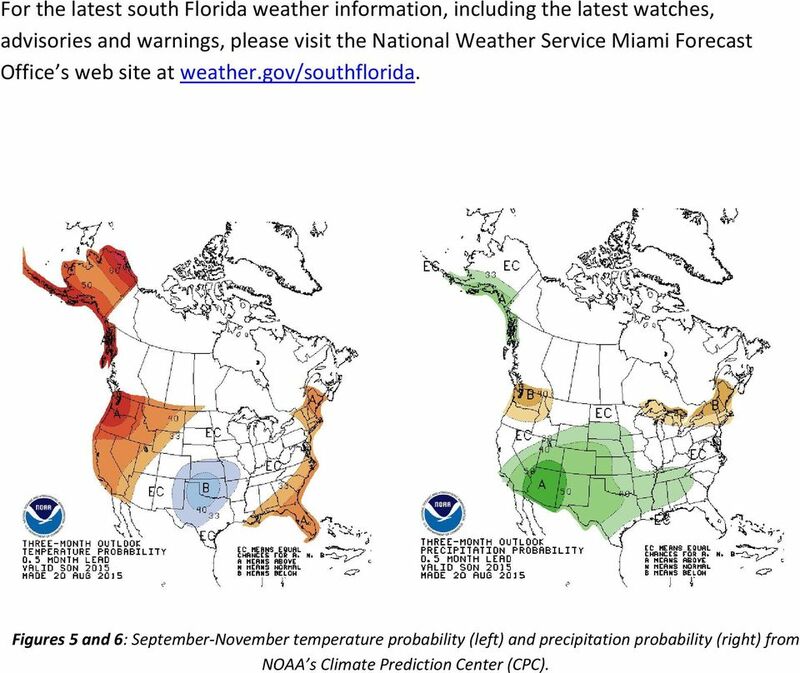 Figures 5 and 6: September-November temperature probability (left) and precipitation probability (right) from NOAA s Climate Prediction Center (CPC). Months of heavy rain forced the U.S. Army Corp of Engineers to open the spillways at Lake Hartwell, located at the headwaters of the Savannah River along the South Carolina-Georgia border, on July 9,. Anyone Else Notice That Its Been Windy Lately? National Weather Service Aberdeen, South Dakota January 2014 Inside this issue: Has it Been Windy Lately or What? 2013 Year in Review 2013 Year in Review (cont.) 1 2 3 Has it Been Windy Lately or What? Hurricanes Readings: A&B Ch. 12 Topics 1. Characteristics 2. Location 3. Structure 4. Development a. Tropical Disturbance b. 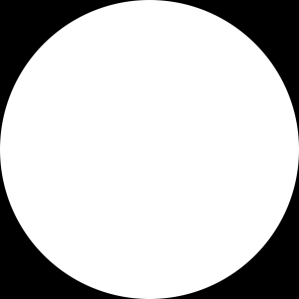 Tropical Depression c. Tropical Storm d. Hurricane e. Influences f. Path g.
We would like to welcome you as a new customer of XFINITY Home! U.S Weather Bureau. Hurricane Isbell, October 12-16, 1961, j preliminary reports with advisories and bulletins issued.